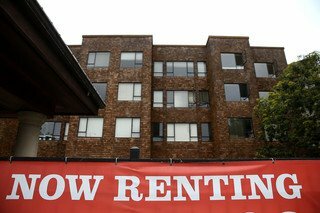 The San Francisco Business Times reported this week that there has been a jump in eviction notices filed against tenants of rent-controlled apartments in the city – with some experts claiming that the fire is being fueled by a new pro-tenant buyout ordinance. 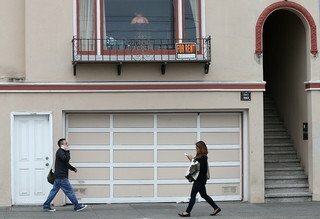 According to the Business Times, the number of monthly notices filed with the San Francisco Rent Board has gone up by nearly a third since March as compared to the average seen over the past three years. 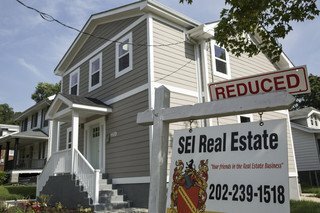 At the same time, there has been a striking 131 percent increase in owner move-in evictions. The average number of evictions has gone up from a monthly total 151 to more than 200, with owner move-ins rising from 23.7 per month to 54.7 monthly. 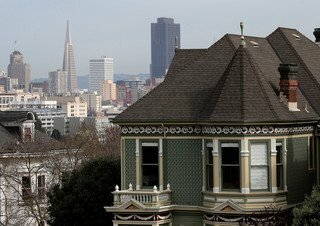 Tenant and landlord attorneys alike told the San Francisco Chronicle, as reported by the Business Times, that that increase may be pinned on San Francisco’s buyout law, which took effect in early March. The law requires that owners must disclose all cash settlements with tenants in addition to registering with the San Francisco Rent Board when buyout talks commence. “There is (now) no incentive to buy someone out versus filing an eviction notice,” tenant attorney Joe Tobener told the Chronicle. The ordinance is the subject of a lawsuit filed by a group of property-owner organizations in Superior Court. The suit seeks an overturn of the buyout rules on the basis of free-speech and privacy violations. SF Curbed reports that developer Build Inc. has filed a proposal with the city Planning Department to build a new 14-story property with 12 rental apartments at 830 Eddy Street, very close to Van Ness Avenue. According to Curbed, the Van Ness corridor is one of the city’s main development hot spots these days given new developments such as the $2 billion California Pacific Medical Center and transit upgrades including the Van Ness Bus Rapid Transit lane. The property where the development would sit is currently a two-story parking garage adjacent to a commercial building that has Burger King as ground-floor retail. BAR Architects is on tap to design the new building, which reunites the two sites once again as they were formerly part of one development parcel. Of the 100 underground proposed parking spaces, 40 would be dedicated to the commercial building; the remaining 60 spots would be reserved for residents. The San Francisco Business Journal reports that should everything go smoothly (and how often does that happen in San Francisco?) construction is slated to kick off in 2017. Build Inc. managing director Lou Vasquez told the Business Times that the Van Ness corridor is undergoing rapid change. “(Those changes are) going to create not only a huge number of jobs in the neighborhood and all sorts of housing demand near it, it’s going to create commercial demand for it as well,” he said. Build is also involved with projects in the Mid-Market area, Bayview, Dogpatch and India Basin. This particular project is expected to rent at a little less than $6 per square foot, Vasquez told the Business Times. According to the proposal filed with the city, the project’s anticipated price tag will be just less than $41 million. 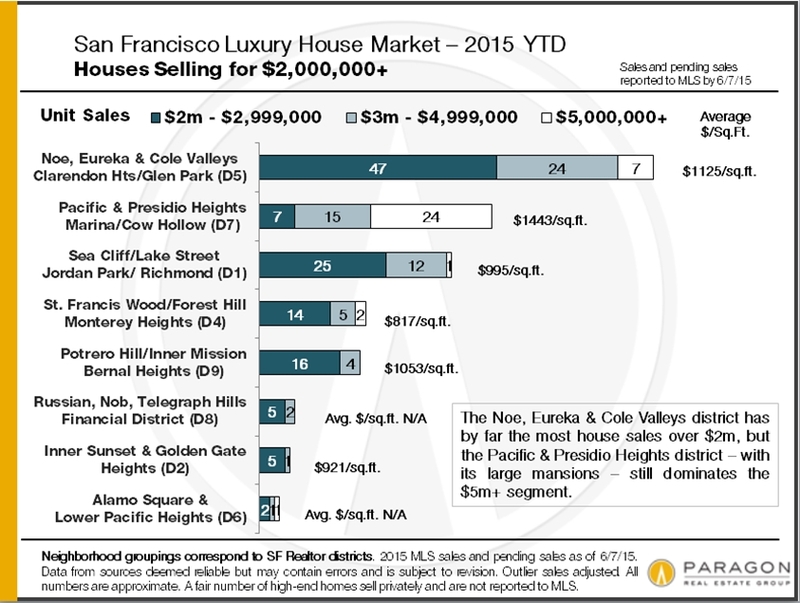 The Mark Company San Francisco Trend Sheet for June 2015, and it’s got some facts and figures that may be of interest. Keep in mind that numbers are just that – numbers – and sometimes they contradict one another. That said, it’s good to keep informed as to the figures that are floating around out there. According to the Mark Company Condominium Pricing Index, which is the tool for tracking the value of a newly built condo without the volatility of inventory shifts, among new construction there’s been an average of $1,304 per square foot, a 14 percent year-over-year increase and 3 percent month-over-month increase over the past 12 months. In terms of new construction absorption, 95 units sold in the city since last month, a year-over-year decrease of 57 percent and a month-over-month decrease of 43 percent. New construction inventory shows that there are 837 units available, an increase of 109 percent year-over-year and a 3 percent increase month-over-month. 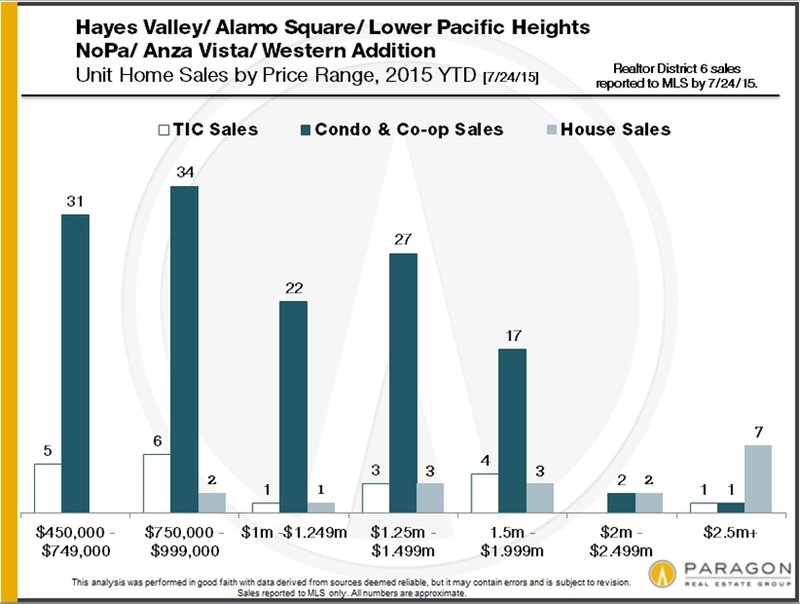 In terms of resales, the average price per square foot for condos was $1,039, a 9 percent year-over-year increase and a 10 percent month-over-month increase. There were 226 active listings, 119 active contingent listings and 0.9 months of inventory. There were 167 pending listings, with a pending percentage of 33 percent. 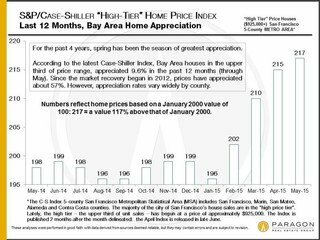 Paragon has just issued its report on the recently released and updated S&P Case-Shiller Home Price Index for the San Francisco Metro Area. 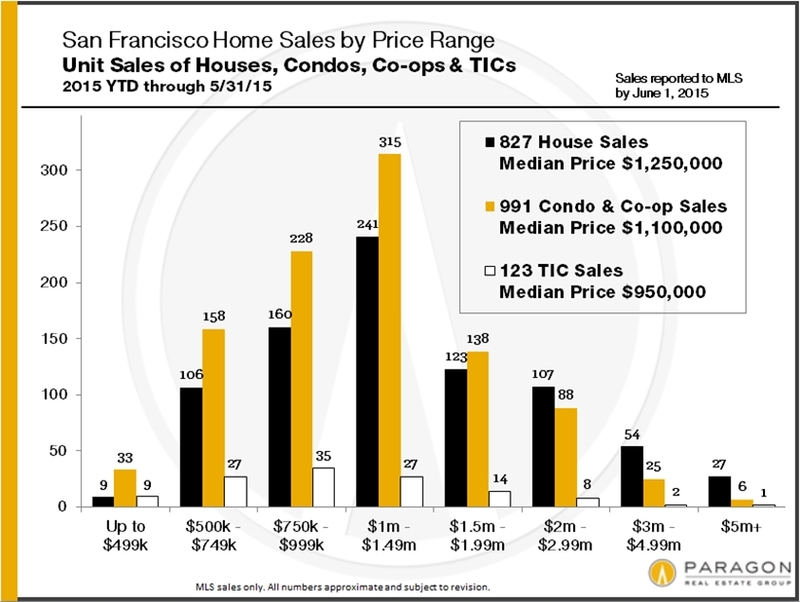 As always, keep in mind that these statistics reflect the market of two months ago and that San Francisco is considered part of the high-tier sector. 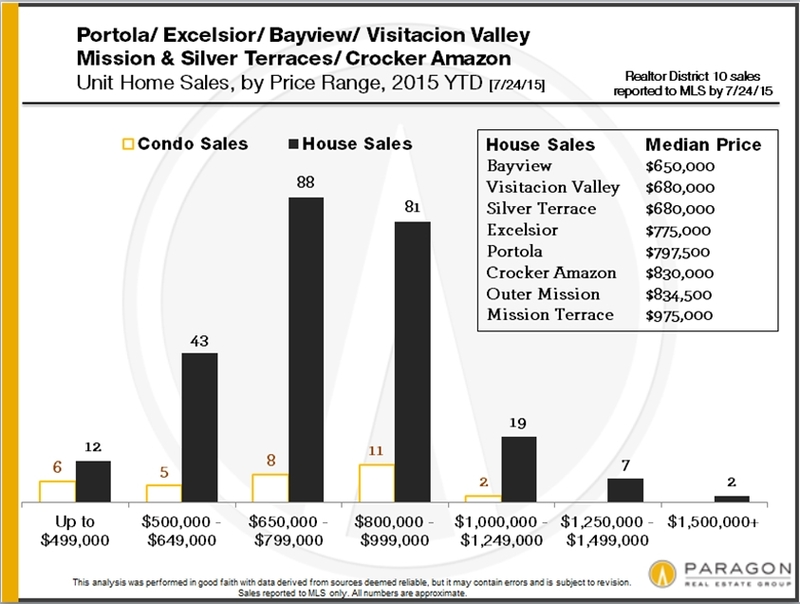 Additionally, San Francisco condo values were found to have jumped 1.1 percent in May, with a 13.4 percent higher showing year over year and just over 15 percent higher than at the previous cycle’s peak in October 2005. That’s also an all-time high. Some perspective may be offered by looking at the three different price tiers since 1988. While the low-price tier’s bubble came across as far more inflated by subprime lending (to the tune of 170 percent appreciation over 6 years) and led to a far greater crash than the other two tiers, the middle-price tier’s bubble also left it below its previous peak values seen in 2006. Since the high-price tier had a far smaller bubble and was less affected by distressed property sales it has now far exceeded its previous peak values of 2007. As the Paragon report notes, all three tiers now enjoy similar overall rates of appreciation as compared to 2000. 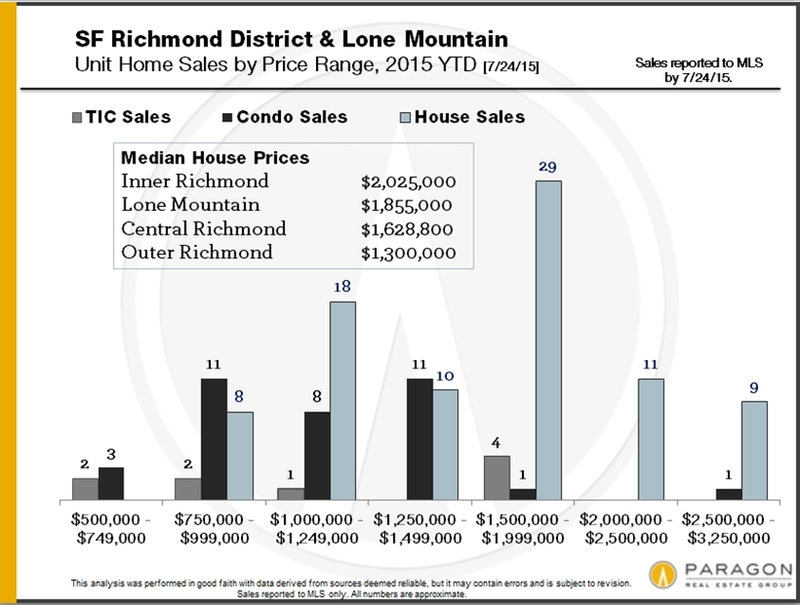 Specifically, that range has narrowed from 117 percent to 113 percent over prices in 2000, suggesting that equilibrium is now being achieved across the general real estate market. 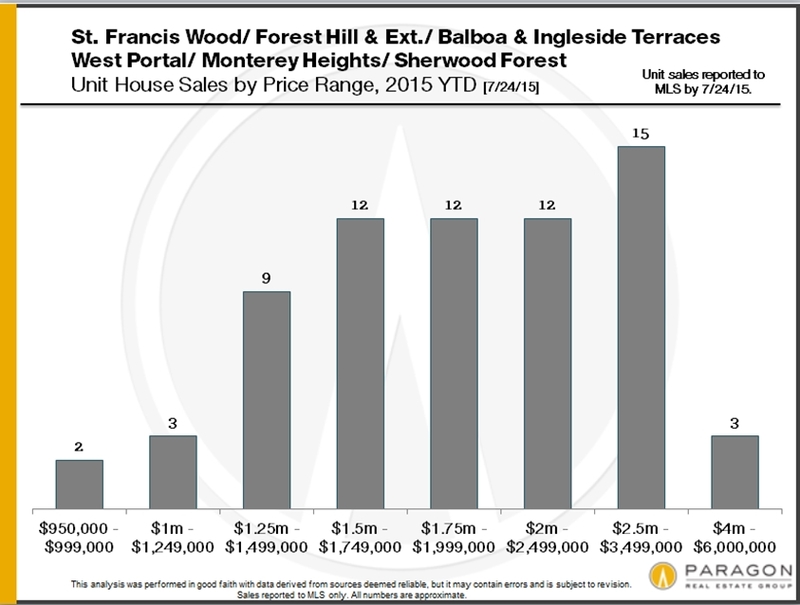 These charts show the breakdown of San Francisco home sales as reported to the city’s Multiple Listing Service, year to date 2015. We picked this period because, generally speaking prices appreciated again in late winter/ early spring 2015. These analyses are sorted by city districts and neighborhoods by the number of transactions in different sales-price segments. 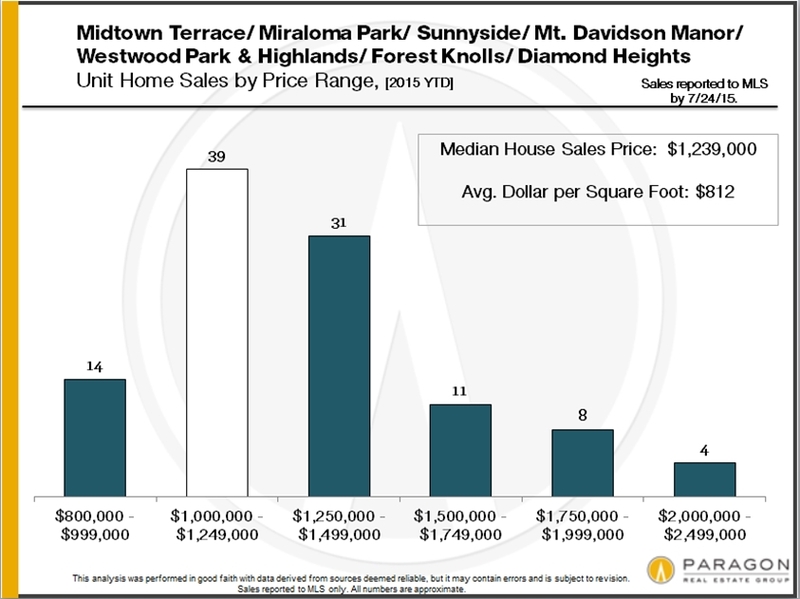 Note that median sales prices will change every time the time period or neighborhoods included in an analysis change. 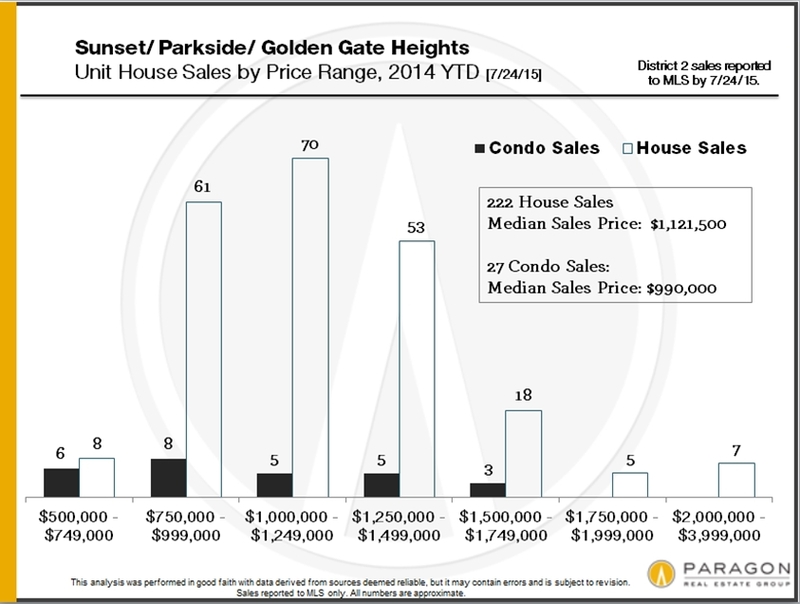 These 2 charts below track San Francisco luxury home sales by price range and neighborhood. 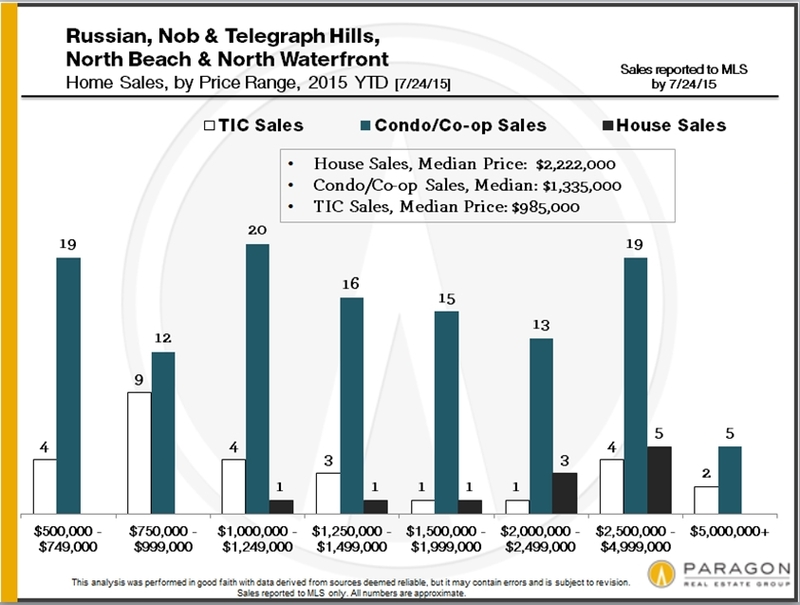 Rather arbitrarily, we designate the luxury segment as those condos, co-ops and TICs selling for $1,500,00 or more, and those houses selling for $2,000,000 and above. Considering the appreciation of the market in recent years, we may have to adjust those thresholds soon. Are you in the mood to just go fly a kite? You’re in luck. 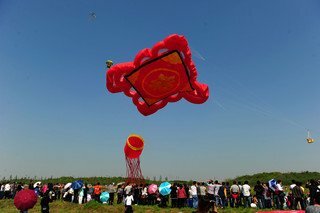 The Berkeley Kite Festival takes place this Saturday and Sunday, July 25 and 26. Sponsored by Hill Physicians Medical Group and HighlineKites.com, the event takes place at the Berkeley Marina. Parking is available at nearby Golden Gate Fields for $15, with shuttles regularly running between the lots and the Marina. · Free kite making: 11 a.m. to 1 p.m.
· Free Candy Drops: 2:30 p.m.
· Free kite-flying lessons: 11 a.m. to 4 p.m.
Best of all, admission is free! The Festival takes place at Cesar E. Chavez Park at the Berkeley Marina from 10 a.m. to 6 p.m. on both Saturday and Sunday. Remember that this is the 30th annual event – all the more reason to attend this classic tradition that never fails to bring out the crowds. Bring your kids, your parents, your loved ones and your spirit of adventure (as well as your sunscreen) and recapture your love of flying a kite! How can I prepare to make an offer? Are you ready to find the home of your dreams? Congratulations! Now’s the time to take a deep breath and get ready to make an offer on that perfect property. Here’s a few tips on going about it in a productive – and hopefully positive – way. My first piece of advice is to check in with yourself: are you prepared to be a homeowner? Keep in mind that while there is plenty of reward to the endeavor, there is also a lot of work and maintenance involved. Once you’ve decided that you’re game, you need to figure out how much you can afford. Consult with a loan agent or other mortgage professional to crunch the numbers. Now it’s time to check out homes for sale in your desired neighborhoods. This will also tell you a lot about what you can and can’t afford, and in turn, this will help you formulate and revise a desired wish list of what you would like to have in a property. Make sure you’re working with an agent who has a strong history of selling in your target neighborhoods so that he or she can properly advise you. Finally, you’ve found that perfect home. This is the time to find out as much as you can about the sellers and their individual situation before writing up your offer. If you can work with them, they may be more willing to work with you as well. Always pre-inspect a home – it protects you as well as the other party. Remember that it’s crucial to do your due diligence throughout the process. An educated buyer is bound to be a more successful, fulfilled and happy homeowner as the years go on. The more that you know, the better! 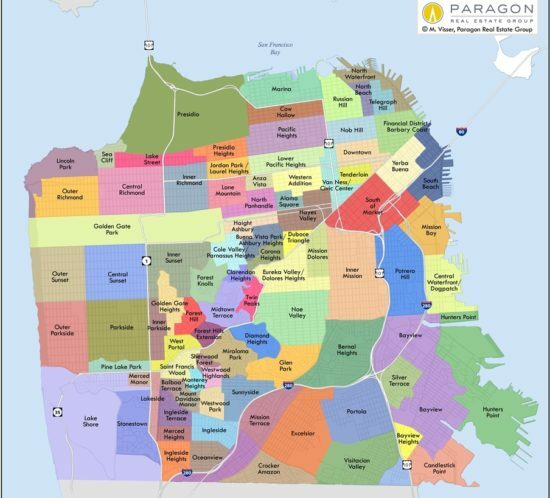 Yesterday we opened up a discussion of Paragon’s recently released 2015 mid-year report on the San Francisco apartment-building market, a survey of factors including appreciation rates, recent sales, rental rates and the new construction pipeline. 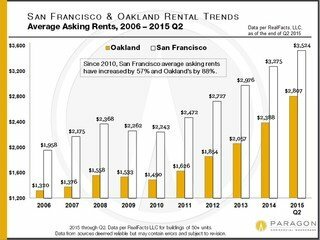 Let’s continue that discussion today, starting with a look at rental rates in San Francisco as well as in Oakland. The last few years have seen incredible appreciation in rental rates in both cities, but in recent quarters we’ve seen increases slow in San Francisco while they continue to surge across the bay, according to RealFacts data. So what’s happening here? 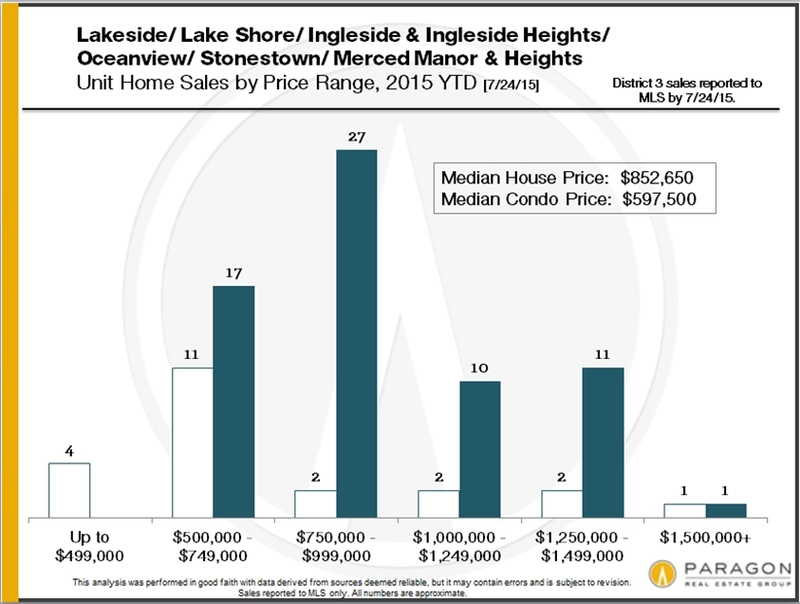 Oakland is benefiting from the overflow effect from its neighbor to the west, causing increased upward pressure on the local market. As we’ve discussed here on this site, San Francisco has thousands of new rental units that have been recently built, are under construction or are planned. As these continue to emerge from the pipeline and out into the market, further rent rate appreciations (particularly at the higher end) may experience some downward pressure. 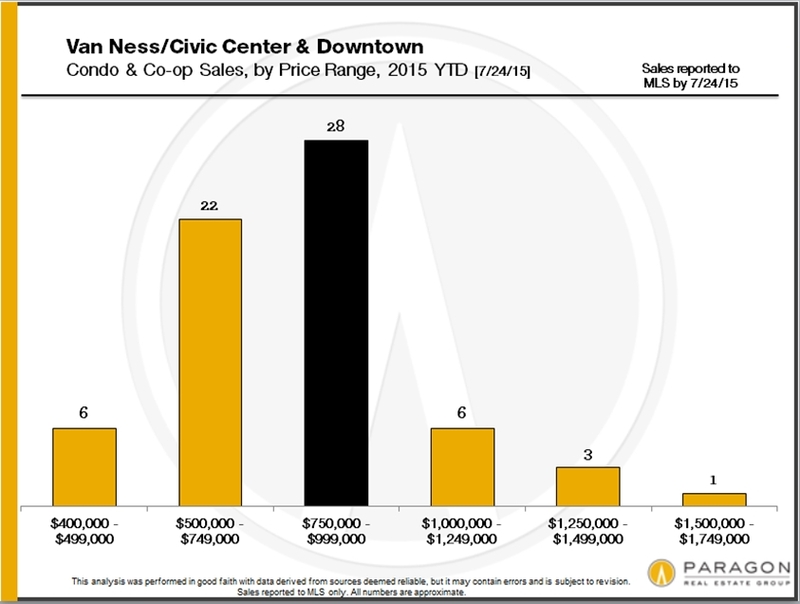 Similar pressure may be seen in terms of San Francisco office lease rates. According to the San Francisco Business Times, there are about 60,000 housing units being built, approved for construction or planned. As the Paragon report notes, however, completion dates can be notoriously hard to pinpoint and that the breakdown of housing types can often be undefined. Additionally, some projects may not go through at all, making this a bit of a moving target. 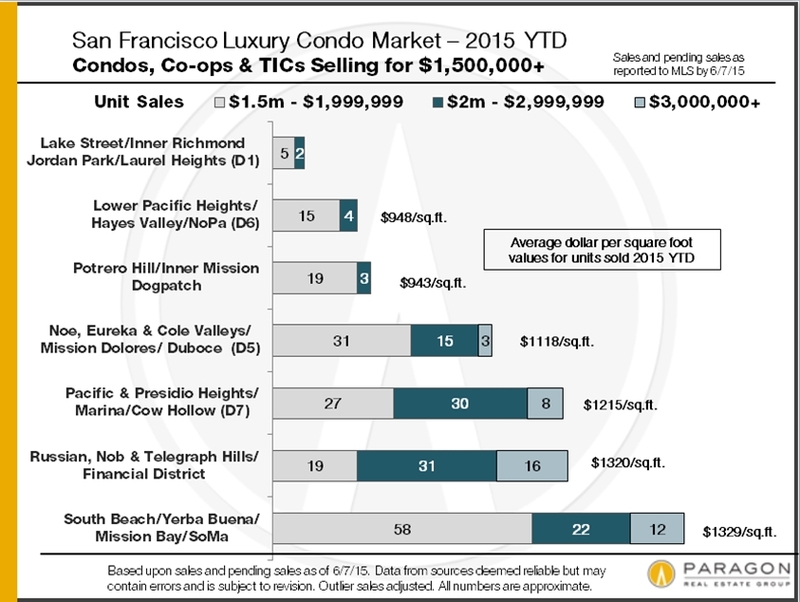 The second quarter of the year typically sees some of the highest activity for the city’s five-plus unit market. However, this year was a surprising slowdown, with sales and listings on a year-over-year basis accepting offers at a 50 percent slower pace and 25 percent fewer new listings coming on-market as well as total for-sale listings. As always, we’ll keep you posted. This week an old client who recently had a baby (and now needs more space) reached out to me with questions about a couple of small residential buildings that have been sitting on the market for some time. On the face of it they looked great, with enough square footage in great locations and nice architectural detail. The devil is in the details, however. When I researched the properties, we learned that they both have long-term tenants with rights that would make it very difficult and expensive for her to ever move in. Because San Francisco is a rent-controlled city, the value and desirability of small buildings like these are deeply affected by issues such as rents and rental upside potential; tenant profile, “protected” tenants, and eviction history. There are some excellent articles online about rent control and tenant eviction laws. 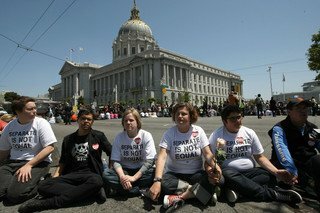 One of my favorites is a Q&A on Tenant Evictions in San Francisco written by g3mh, a law firm specializing in landlord/tenant law. Attorney Andy Sirkin also has some good information about how and when buildings can be converted to condominiums or resold as TIC interests. Occasionally, I have clients who are willing to take on tenant-occupied properties, especially in our current market where a dearth of inventory is forcing buyers to get more creative. One such buyer purchased a single family home with a studio down in the Sunset District. The tenant in the house was a single mom with a school age child and we went into escrow in early summer. Since my buyer thought he would want to live in the house instead of the studio, we had to hustle and get the property closed in time for him to give a proper eviction notice (you can only evict a tenant with a school-age child during the summer months). However, the studio tenant wound up moving out during escrow so he took that unit instead. The arrangement has worked for him so far, and the tenant in the house has been able to stay. I have another set of clients who are two couples. One couple lives locally; the other is presently located on the East Coast. Together, they bought a two unit building in Corona Heights with a vacant upstairs unit and a lower unit that is tenant-occupied by someone who has been there since the 1970s. For now, the local couple lives upstairs and keeps a bedroom vacant for the other couple when they are in town. Someday, the tenant downstairs will move on and then the East Coast owners can enjoy a complete second home. In the meantime, they are happy to have an old-time San Franciscan living in the building. From a buyer perspective, the best thing about tenant-occupied properties is that they have lower price points. They also have more long-term upside; it may take a while for a tenant to move out, but a building instantly becomes worth more when one of its units becomes vacant. 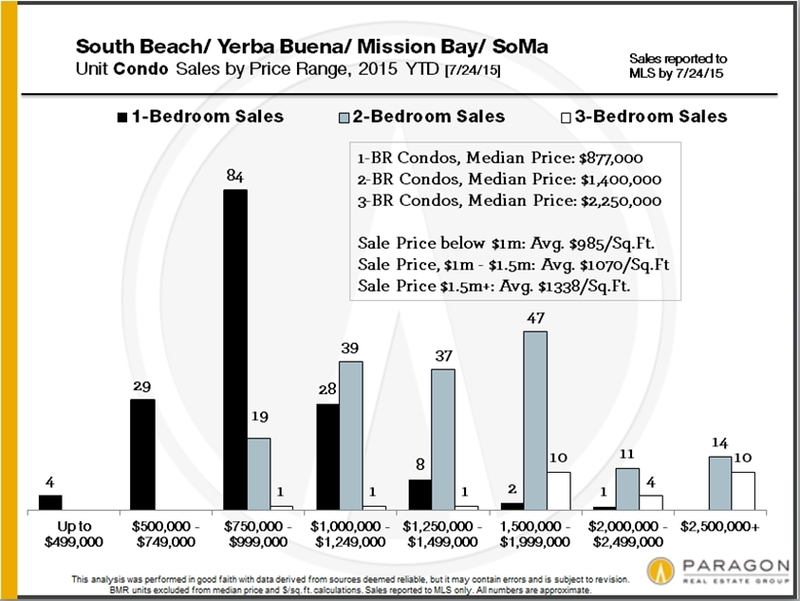 Conversely, on a per-unit basis, the most valuable properties are vacant two-unit buildings. These “partner-perfect” properties are ideal condominium conversion candidates. They can also draw in families who might want to occupy the whole property, which broadens their market appeal. Paragon has just come out with its 2015 mid-year report on the San Francisco apartment-building market, a survey of factors including appreciation rates, recent sales, rental rates and the new construction pipeline. It’s important to keep in mind that, since things such as tenant profile rent control and quality of construction vary enormously, median prices may be seen as very good general indicators in the city. 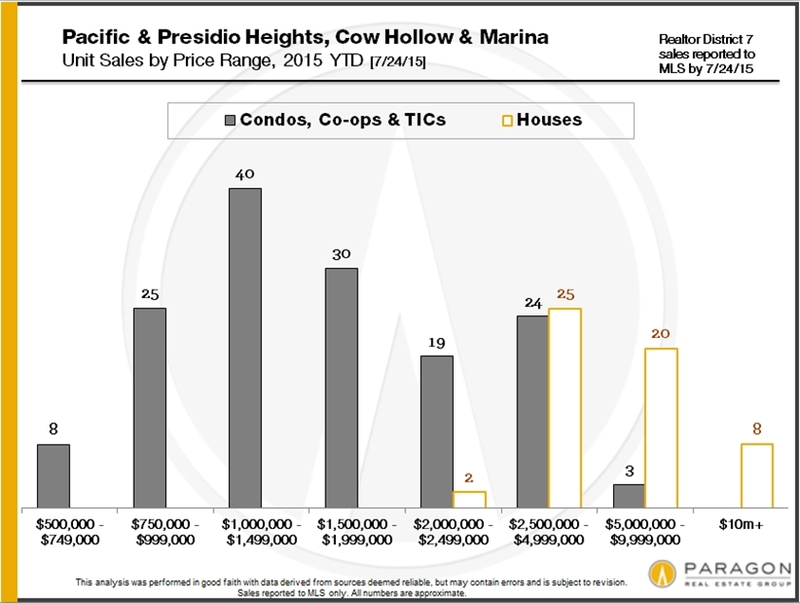 We’re finding that the Pacific Heights-Marina district almost always comes out on top. 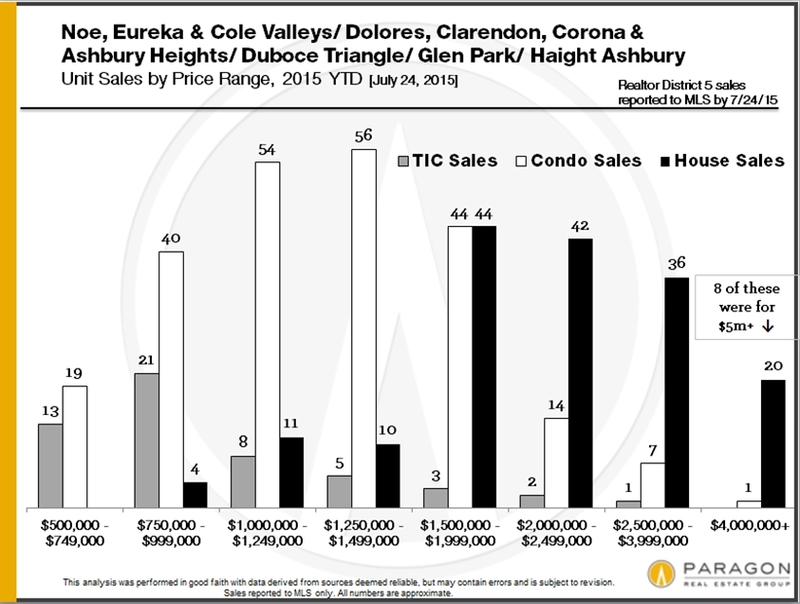 Typically we also see the Noe-Eureka Valleys district and the Russian and Nob Hills district top the Hayes Valley-NoPa area in terms of values and sales, but due to the mix of buildings sold in the past year, that wasn’t the case. We’re also seeing some districts that have been experiencing gentrification and rapid appreciation (SoMa and the Mission, anyone?) be affected by a plethora of older buildings and very long-term tenants under rent control. 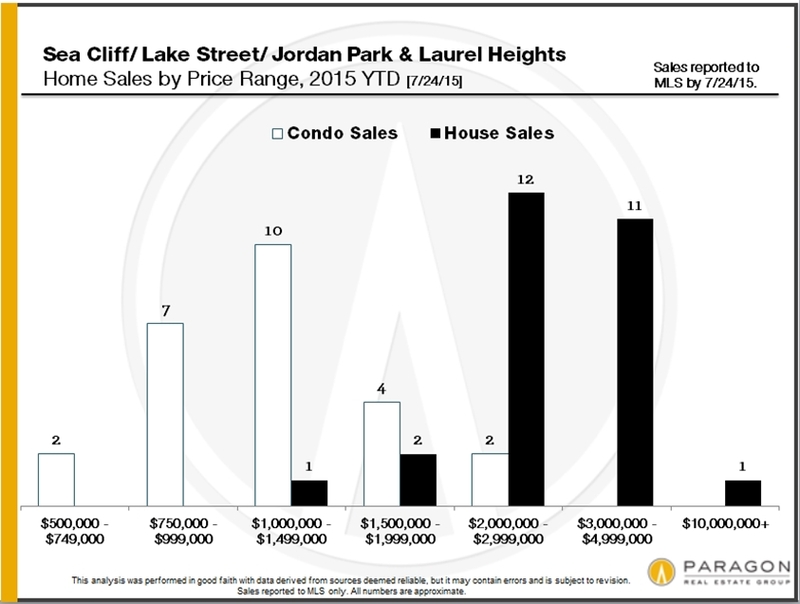 This can be shown in terms of income and sales prices. Ninety-five percent of the city’s residential multi-unit property sales are of buildings of 15 units or less, with 80 percent in buildings of four or fewer units. Typically, sales of two-to-four unit buildings range from $1 million to $3 million in the city, while most sales of larger apartment buildings are seen in the $2 million to $5 million range – but there are deals that outstrip these prices by major margins. That said, smaller buildings typically sell at higher dollar-per-square-foot values, if lower median sales prices, than larger buildings. 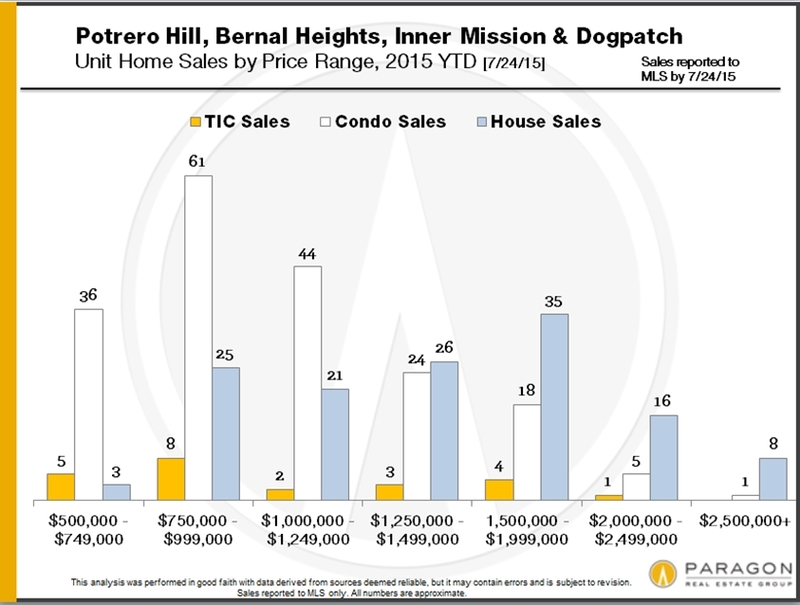 Here again we see the highest values in the Pacific Heights-Marina district, with the Russian-Nob Hills district and the Noe-Eureka Valleys district coming in second and third respectively.